Tuesday, February 17 from 6:30 p.m. until 9:00 p.m. Sake is a choice. In one sense, it is the clear choice. No longer seen as the simple foreign cousin of Western wines, sake is now understood to be as broad and complex a category as white or red. This is no secret in New York City, where for many years now sake has been become increasingly available on the shelves of wine stores and the menus of non-Japanese restaurants and wine bars. With something for enthusiasts and beginners alike, The Color of Sake will host 17 of Japan’s best sake brewers, representing different regions, brewing techniques and taste experiences. Guests will have the chance to sip, savor and learn about as many as 44 of the most sought-after and highly decorated sakes available to the U.S. market. While many of these sakes are available in New York, some brewers and sakes will be making their U.S. debut. There will also be a seminar from 7:00 p.m. until 7:30 p.m. for those interested in learning more about sake. Akiko Fujita, Senior Researcher at the National Research Institute of Brewing, will discuss the fundamentals of sake production and how it plays into your taste experience. 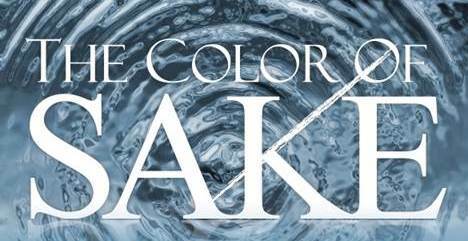 To purchase tickets, please visit www.colorofsake.com. Admission also includes tasty bites chosen to complement the selection of sakes. Use promo code SAKENY2015 to receive a $5 discount on each ticket for a limited time. Those interested in attending the seminar should choose the “Ticket + Seminar” option when purchasing tickets. Seminar seating is limited.